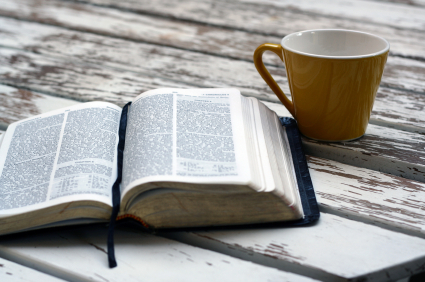 What are the scriptural requirements to keep God’s feasts and are they in place today? 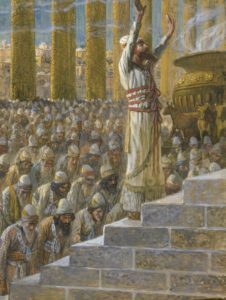 One thing that jumped out at me is Leviticus 23:9-11 indicates that this observance had to be in the land of Israel, and the waiving of the sheaf is to be done by the priest. How are we to be obedient to the command when we do not live in the land and there is no priesthood or temple? This is a fair question. Some people aren’t so polite. When we claim to be “Torah observant” but don’t keep all the commands for the feasts (such as sacrifices and offerings), many people scoff and say that we’re only pretending. We cannot call ourselves “Torah observant” unless we are willing to observe the entire Torah. It could not be any more clear. Absolutely nothing in the Law will disappear until everything is accomplished. In order to demonstrate that “everything is accomplished,” all we need to do is demonstrate that something from the Law has disappeared. Is there something that has disappeared? Yes! What? The sacrificial system! I see valid concerns in these comments, and I will try to answer these concerns today. “These are the statutes and judgments which you shall be careful to observe in the land which YHVH God of your fathers is giving you to possess, all the days that you live on the earth. You shall utterly destroy all the places where the nations which you shall dispossess served their gods, on the high mountains and on the hills and under every green tree. And you shall destroy their altars, break their sacred pillars, and burn their wooden images with fire; you shall cut down the carved images of their gods and destroy their names from that place. You shall not worship YHVH your God with such things. YHVH was most concerned that His holy people not try to copy the ways of the nations around them. The biggest thing that His people were to avoid was idolatry. In fact, in Leviticus 26, we read that the Land would vomit them out if they would not rid the land of idol worship. “But you shall seek the place where YHVH your God chooses, out of all your tribes, to put His name for His dwelling place; and there you shall go. There you shall take your burnt offerings, your sacrifices, your tithes, the heave offerings of your hand, your vowed offerings, your freewill offerings, and the firstborn of your herds and flocks. And there you shall eat before YHVH your God, and you shall rejoice in all to which you have put your hand, you and your households, in which YHVH your God has blessed you.“You shall not at all do as we are doing here today—every man doing whatever is right in his own eyes— for as yet you have not come to the rest and the inheritance which YHVH your God is giving you. But when you cross over the Jordan and dwell in the land which YHVH your God is giving you to inherit, and He gives you rest from all your enemies round about, so that you dwell in safety, then there will be the place where YHVH your God chooses to make His name abide. There you shall bring all that I command you: your burnt offerings, your sacrifices, your tithes, the heave offerings of your hand, and all your choice offerings which you vow to YHVH. And you shall rejoice before YHVH your God, you and your sons and your daughters, your male and female servants, and the Levite who is within your gates, since he has no portion nor inheritance with you. Take heed to yourself that you do not offer your burnt offerings in every place that you see; but in the place which YHVH chooses, in one of your tribes, there you shall offer your burnt offerings, and there you shall do all that I command you” (Deuteronomy 12:1-14, NKJV). In 2 Kings, we read that the place where YHVH chose to place His name was Jerusalem. We also read that this was a permanent placement. In this house and in Jerusalem, which I have chosen out of all the tribes of Israel, I will put My name forever (2 Kings 21:7). 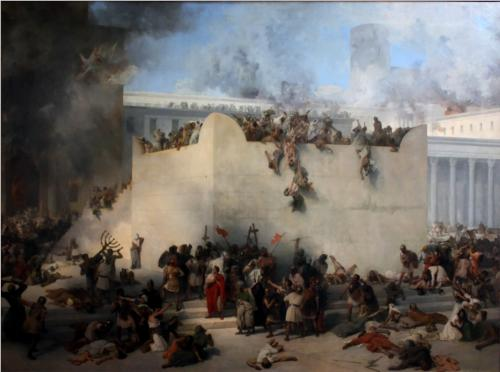 However, we know that only a few decades after Yeshua’s earthly ministry, the Temple was destroyed completely (AD 70). 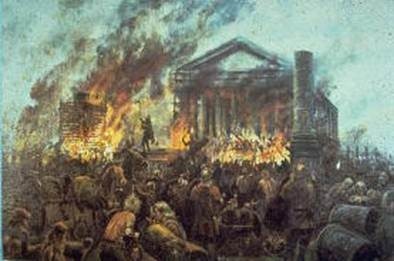 First I want to tell the story, from the Bible, of why the Temple was destroyed. You see, after the children of Israel were brought out of Egypt and through the Red Sea by YHVH’s mighty hand, He took them to Sinai and made a covenant with them. It was much like a marriage covenant (and He even calls Israel His bride).2Read more about covenants at http://www.setapartpeople.com/category/foundational-studies/covenant-scriptures. Then he took the Book of the Covenant and read in the hearing of the people. And they said, “All that YHVH has said we will do, and be obedient” (Exodus 24:7). Of course, they were disobedient, and that generation died in the wilderness. After forty years, just before they entered Canaan, Moses renewed the Covenant with their grown children. “I make this covenant and this oath, not with you alone, but with him who stands here with us today before the Lord our God, as well as with him who is not here with us today” (Deuteronomy 29:1-2, 9, 14-15). This covenant was made not only with the people standing there, but also with all future generations of Israel. He warned them that someday, if they would not obey the Torah, they would be destroyed. “All nations will say, ‘Why has the Lord done so to this land? What does the heat of this great anger mean?’ Then people would say: ‘Because they have forsaken the covenant of the Lord God of their fathers, which He made with them when He brought them out of the land of Egypt; for they went and served other gods and worshiped them, gods that they did not know and that He had not given to them. Then the anger of the Lord was aroused against this land, to bring on it every curse that is written in this book. And the Lord uprooted them from their land in anger, in wrath, and in great indignation, and cast them into another land, as it is this day.’” (Deuteronomy 29:24-28). Of course, we know the story. We know that all of these curses did indeed come upon them. Yes, I believe Yeshua predicted the destruction of the Temple in Matthew 24, and it grieved Him deeply (Matthew 23:37-39).3I made a rather boring video to explain Matthew 24, which you can access at https://youtu.be/K8PFtx4fpWI. I think God did this because it’s a curse not to be obedient to His commands, but He cannot have fellowship with unclean idols. When pagan idolatry is set up in the place where His Name dwells — but worse, in the hearts of His people — He cannot dwell with them. In addition, if He has made a promise (even a bad promise, a curse), He must fulfill His Word! If He didn’t do that, He wouldn’t be a faithful and true God. After all, is it that God removed an avenue of obedience, or that His people refused to obey? Think about Adam and Eve. When they sinned, God sent them out of the perfect garden home where He dwelt with them. They were separated from God, just as all sin separates us from a holy God. So was it God’s fault — or theirs? Of course, keep in mind that before He sent them out, He spilled the blood of an animal and clothed them. In the same way, before Israel was cast out of her land and her Temple destroyed, God spilled the blood of His son Yeshua and offered to clothe them in His righteousness. His people can have fellowship with God through Yeshua. However, at our time in history, His people are still dispersed and under a curse. 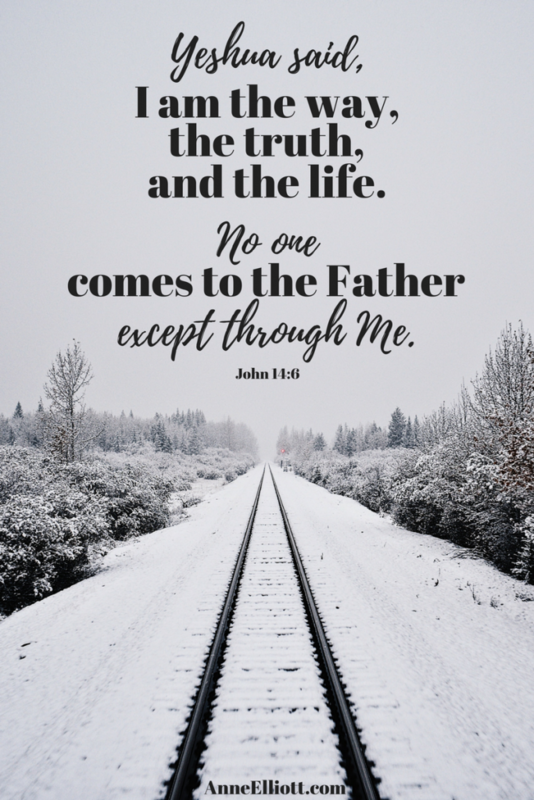 Thankfully, it is during this time of curse and dispersion when God also providentially has allowed the good news of salvation to be spread to the uttermost parts of the earth. These are good things that have come about, even in a time of darkness and curse, but it’s still not quite as good as the day when He brings His people back and redeems them in full from the curses of the Torah. “Now it shall come to pass, when all these things come upon you, the blessing and the curse which I have set before you, and you call them to mind among all the nations where the Lord your God drives you, and you return to the Lord your God and obey His voice, according to all that I command you today, you and your children, with all your heart and with all your soul, that the Lord your God will bring you back from captivity, and have compassion on you, and gather you again from all the nations where the Lord your God has scattered you. If any of you are driven out to the farthest parts under heaven, from there the Lord your God will gather you, and from there He will bring you. Then the Lord your God will bring you to the land which your fathers possessed, and you shall possess it. He will prosper you and multiply you more than your fathers. And the Lord your God will circumcise your heart and the heart of your descendants, to love the Lord your God with all your heart and with all your soul, that you may live… And you will again obey the voice of the Lord and do all His commandments which I command you today” (Deuteronomy 30:1-8). The blessings and curses of the Covenant come to pass. YHVH will gather them back from all the nations where He has scattered them. He will bless them and give them the full blessings of the New Covenant.4See also Jeremiah 31:31-34 and Ezekiel 36:24-37:28. His people will finally have the ability to do all His commandments. The fact is that we’re still under a curse, but until we repent of our sins and the sins of our forefathers, the process of restoration cannot happen. “But if you turn away and forsake My statutes and My commandments which I have set before you, and go and serve other gods, and worship them, then I will uproot them from My land which I have given them; and this house which I have sanctified for My name I will cast out of My sight, and will make it a proverb and a byword among all peoples. “And as for this house, which is exalted, everyone who passes by it will be astonished and say, ‘Why has the Lord done thus to this land and this house?’ Then they will answer, ‘Because they forsook the Lord God of their fathers, who brought them out of the land of Egypt, and embraced other gods, and worshiped them and served them; therefore He has brought all this calamity on them’” (2 Chronicles 7:12-22). Do you remember when twelve spies were sent into the Land, but ten gave an evil report while only Joshua and Caleb gave a trusting report? YHVH had already commanded the people to go in and conquer the Canaanites. He had promised to be with them. He had told them to not fear. However, they doubted God and believed the evil report. God then told them that they would have to wander in the wilderness for 40 years. When the people heard His decision, they lifted up their voices and wept. They were so distraught that they decided to go into the Land and conquer the Canaanites right that moment. YHVH said, “No, don’t do that! I will not go with you!” But they refused to listen. But they presumed to go up to the mountaintop. Nevertheless, neither the ark of the covenant of the Lord nor Moses departed from the camp. Then the Amalekites and the Canaanites who dwelt in that mountain came down and attacked them, and drove them back as far as Hormah. It’s the same for us. No one likes to be in “time out” or punished for their disobedience. We have admitted our sin against Torah, so it’s easy to think that we should immediately be able to be restored to full blessing. However, this would be disobedience against Torah itself. He has made it very clear that only in the place where He has placed His Name (Jerusalem) and in His sanctuary (the Temple) may we bring offerings of praise and thanksgiving on the days of our feasts. So we wait. He has promised, hasn’t He? He will fulfill every promise He has made. In the meantime, we do as many of the commands as we are allowed to do without being presumptuous against a Holy God. Thankfully, each of His feasts points to our precious Messiah and Savior — and also foretells His future redemption of all Israel. Each feast day, let’s study the Torah and obey all the commands that we can, rejoicing before Him in His redemption and forgiveness. Yet for all that, when they are in the land of their enemies, I will not cast them away, nor shall I abhor them, to utterly destroy them and break My covenant with them; for I am the Lord their God. But for their sake I will remember the covenant of their ancestors, whom I brought out of the land of Egypt in the sight of the nations, that I might be their God: I am the Lord’” (Leviticus 26:40-45). As we approach the fall feasts and see the commands that we may not yet keep, may our hearts be humble and may we accept our own guilt and confess our iniquity and the iniquity of our fathers. 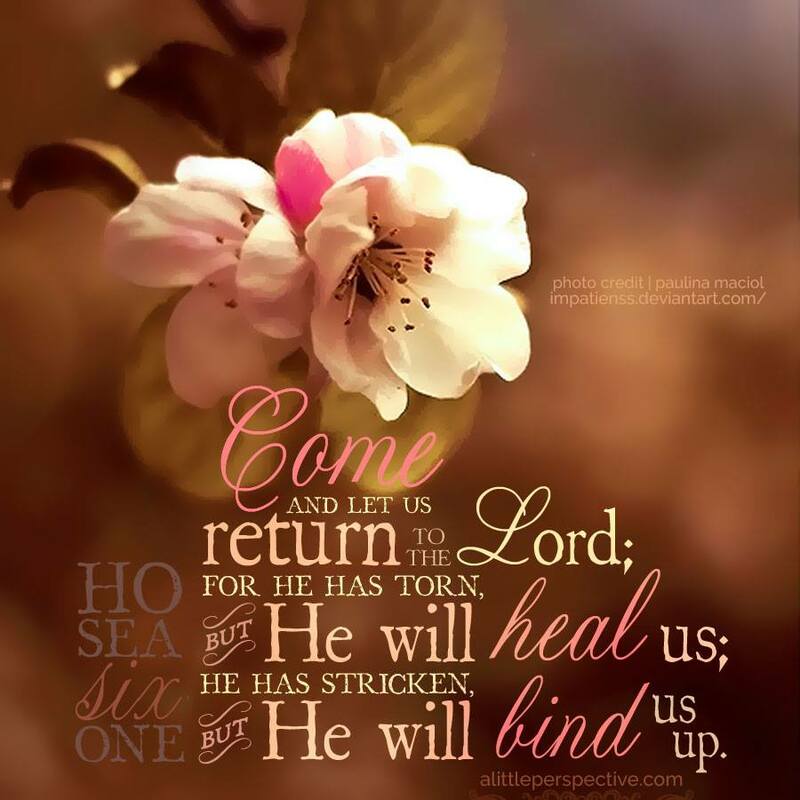 May we walk in the hope of His soon return. He always keeps His promises!5Learn more about the feasts of YHVH at http://anneelliott.com/2016/03/the-biblical-feasts/. 2. ↑ Read more about covenants at http://www.setapartpeople.com/category/foundational-studies/covenant-scriptures. 3. ↑ I made a rather boring video to explain Matthew 24, which you can access at https://youtu.be/K8PFtx4fpWI. 4. ↑ See also Jeremiah 31:31-34 and Ezekiel 36:24-37:28. 5. ↑ Learn more about the feasts of YHVH at http://anneelliott.com/2016/03/the-biblical-feasts/. Amen and amen, dear sister! Thank you for your obedience in sharing what YHVH has placed on your heart. As iron sharpens iron…. What a wise and godly women you are. I learned today that my ancestors did not follow Torah but followed their own way. I need to ask forgiveness from our YHVH. Anne…good word and excellent reminder. Thanks for that and the encouragement to keep pressing toward the prize.